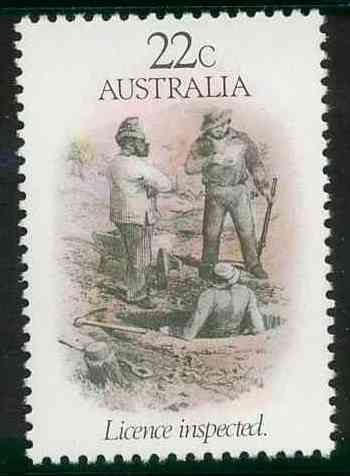 I heart post: Archaeology / Gold Rush / Stamps / Yay! On site at Burrumbeet. The big skies out there are amazing. The past two weeks I have been away on fieldwork, hanging out with the archaeologists and digging up what was an old hotel on the busy road between two goldfields in the 1850s and 60s. It was a really great two weeks and we uncovered what is a really interesting site, which is indicative of a bustling little township in a place that is now the home to only a handful of people. 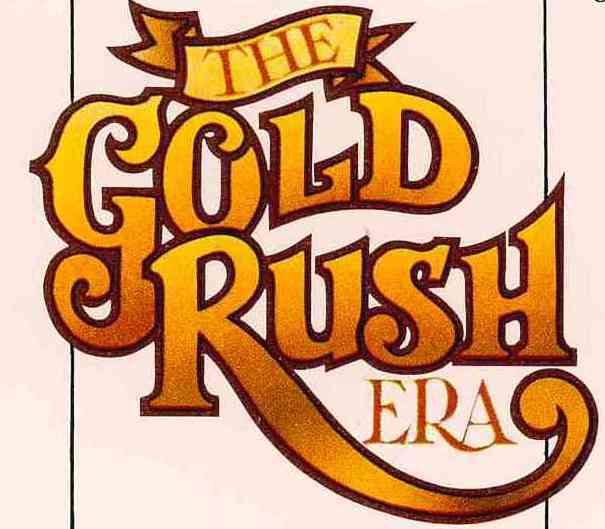 Gold was officially discovered in 1851 - and then it was on like donkey kong. 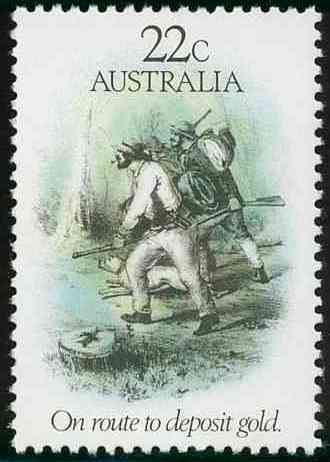 People poured into the colony. Men mostly, but from all corners of the globe. 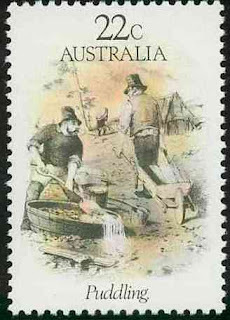 The gold-rush era transformed the fledgling colony of Victoria - only newly separated from New South Wales - and as a result of this new found wealth, roads were built; railways established; and not a few hotelkeepers made their fortunes rather cleverly, not by seeking gold, but by selling grog to those who were. The stamp designs are based on the drawings of artist ST Gill and depict life on the gold fields, which was a very hard slog that didn't necessarily result in a large payday. The site that we were working on the past two weeks was about a days journey between two goldfields; and therefore a perfect resting place, so many hotels and grog shops sprung up. Judging by the misty mornings we encountered, it would have been damn cold on them goldfields sleeping under a canvas tent. So, here are a few happy snaps from our time on site. It was such great fun. Stringing up a new trench on a very misty morning. Uncovering a bluestone wall: foundations of a pub? Wendy & I on another very misty (cold) morning. We wouldn't have been able to see each other but for our hi-vis! The hotel site is really intriguing, and we still have more work to do out there. The gold era catches my imagination and I love it! 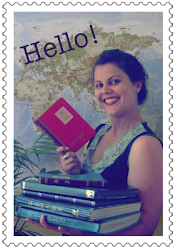 Yay for archaeology and history and post all coming together into my life! What a great couple of weeks! I missed your blog - thought you'd fallen off the face of the planet. 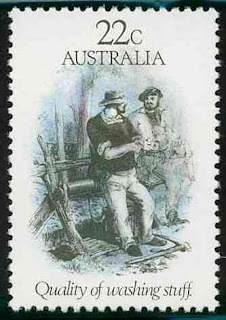 That work looks really exciting and of course the stamps are nice. Pleased to find that you're doing what you really love.